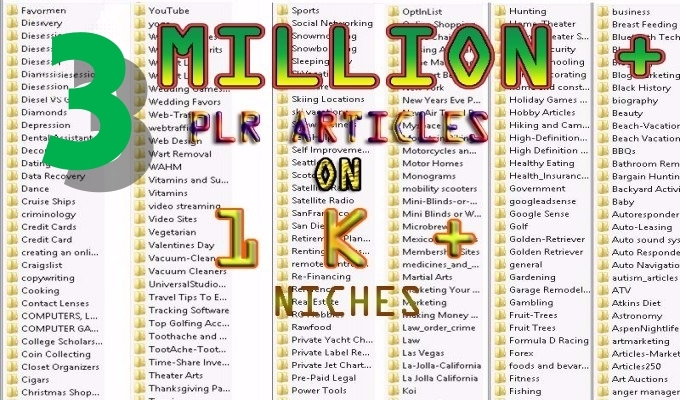 More than 3,000,000 PLR articles on more than 1000 niches, you can use for anything you want! Re-write the PLR content and then submit to a lot of article directories. resell them if you want!